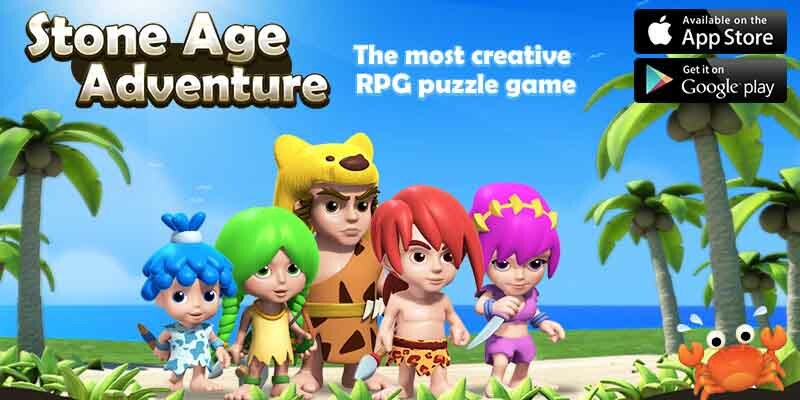 [Stone Age Adventure] is a Modern, Cute, Fun and Brilliant puzzle game. Remember the great time that Stone Age Heroes and their monsters having together? 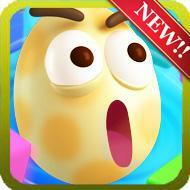 the Heroes refuse to leave the island too and prepared to battle against the monsters. And the adventure of Stone Age start here. there goes all of the runebricks dissolved in a single turn, full of beautiful and attractive skill effect shine brightly through your screen. it refill Heroes skill energy gauge and release powerful abilities upon full. together created lots of fun and interesting stages, the battle part aint going to be the old boring style but require strategic with combination of abilities, position and timing. Variety of game modes and stage's missions fascinate various of gaming experience, every stages have their own missions for players to complete. Whether in specified time, steps, turns or monsters, runebricks and bosses that require to destroy. This type of exprience that players shouldn't be miss out. so do not forget to deploy a pets in the battlefield. Wechat or Facebook friends rank from the ranking board too. So brace yourself to the highest raking to earn the richest diamond reward! More excitement awaits you to explore, we wish you can find the very gaming experience from Stone Age Adventure!